Japan has one of the highest suicide rates. A World Health Organization report shows it is actually 60 per cent higher than the global average (Lu, 2015). The country counts an average of 70 daily suicides and alarmingly children are also affected by this problem (ibid.). Since 2014, suicide has become Japan’s leading cause of death in children aged 10-19 (Oi, 2015) and the rate of child suicide keeps rising despite the decreasing overall suicide rate (Whitman, 2015)! The main reasons for child suicide are school-related issues such as demanding school work or bullying. These problems lead children to depression. 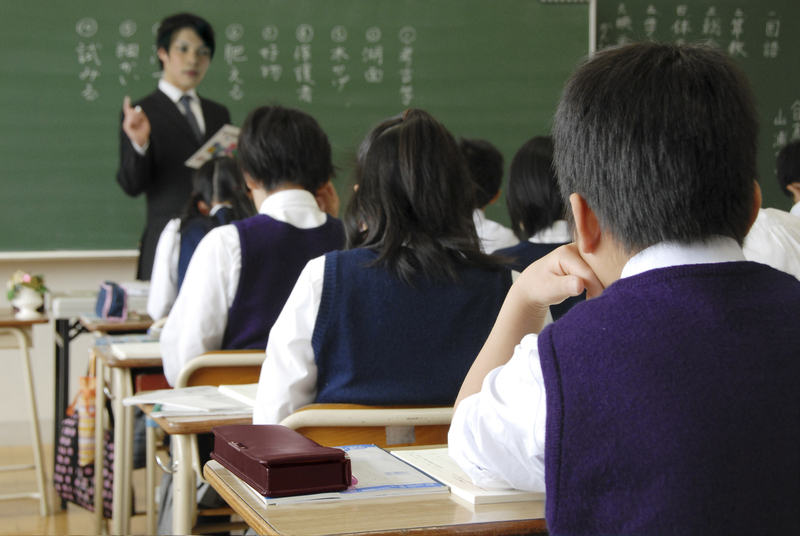 Kenzo Denda, a professor at Hokkaido University, reports that in Japan 1 in 12 primary school students and 1 in 4 secondary school students suffer from depression, which causes many of them to commit suicide (Lu, 2015). We see a spike in suicides in September when children go back to school after the summer holidays; Japanese children are actually more likely to kill themselves on 1st September than on any other day. The spike in suicides repeats in April when students go back to school to start a new academic year (Oi, 2015). School-related issues and the children inclination to suicide are actually part of Japanese culture. How are children affected? The group culture and pressure to perform. In Japan, group culture is important. This practice means that everyone has to be part of a group, follow the rules and have the same opinion as the other members. This means that every person who is different or doesn’t comply with the rules will be excluded and become the target of bullies. This is also a reason why some watch but don’t react; if you are not one of the bullies, you could become the next victim. This also applies to teachers who sometimes know what is going on but turn a blind eye or even participate in the bullying in order to avoid trouble. Group culture is also linked to school pressure, as students are always expected to perform and get the highest scores, and those with difficulties don’t receive any support, they just have to go along with the rest of the class. This aspect of the Japanese culture can explain, at least in part, the problems children face at school and which can lead them to want to end their life (Oi, 2015). Compared to westerners, Japanese people are more likely to opt for suicide when faced with a difficult situation. In Japan, suicide has a different meaning and is not perceived in the same way as in the West. Unlike in Christian countries, in Japan suicide is not considered as a sin. It is seen as a way of taking responsibility and asking for forgiveness. Suicide is deep-rooted in the country’s history; we can recall the Samurai who would do Seppuku (1) to clear their name or the Kamikaze pilots during WW2 (Wingfield-Hayes, 2015). Since 2012, Japan has been taking the issue of suicide really seriously and the government has put measures in place, aimed at reducing the suicide rate by 20% by 2025 (Lu, 2015). These measures seem to be bearing fruits as the overall suicide rate is declining. However, they are focused on adults and are not appropriate for children. The truth is that while Japan is looking for an effective way to reduce suicide among children, the child suicide rate is ever increasing. Japan can try to reduce the suicide rate with political measures but it is a historical practice, linked to how society evolves within the school system, and so unless people change their ways of thinking, the problem will remain. Children think they only have the choice of either going to school or committing suicide, and because they can’t stand going back to school, some children choose the latter. Charities want them to know that there are alternatives and advise them to stay at home (Lu, 2015). The children who were allowed to stay at home by their parents were able to escape this situation. Nanae had the support of her mother when she stopped going to school for a year. Now she has gone back to studying and is singing in a band. She managed to go through this hardship by talking about her problems on the internet. She is in turn trying to help other children, victims of bullying, by writing a blog about what she went through (Wright, 2015). It is currently the only solution offered to children in this kind of situation: stop going to school and try to build yourselves back up. However, this is of course only a temporary solution; children have the right to go to school and they should use this right without fear or embarrassment. The government is trying to implement strategies aiming to increase discussion about mental health issues in the county. We can only hope that this will help people affected by these issues, including children. (1) Ritual suicide by disembowelment performed by Samuraï to die with honour rather than be captured by the enemies or when they had brought shame to themselves.